(c)2010-2015, Ben Lonetree & Iona Miller, All Rights Reserved on all graphic and written content. If you mirror our works, pls include the authors' credit and URL LINK to this page, for reference. Made with 100% recycled electrons. Below is an example of dirty electricity in a home with solar power. In the first segment of the video you will see two large humps in the spectrogram. These two humps are dirty electricity which is a product of a home's solar inverters. You will see two humps. The first one is from the home's solar inverter. The one to the right of it is from the solar inverter on a home across the street. Both homes share a common power transformer from the electric company. The neighbor's inverter noise fed back into the transformer and into this home. To the right of the two large humps are two smaller ones. They are the second harmonic of the two main humps. One filter does a nice job of eliminating most of the noise. Two filters clean it the rest of the way with an added benefit of also cleaning the noise coming from the power grid. To properly monitor Schumann Resonance you need two systems. 2) one for measuring the electric component. For instance, let's take Heart Math's Magnetic system they use for monitoring Schumann. It responds to the magnetic component of Schumann but it also responds to magnetism generated by the planet and the sun. So what do they actually see? Geomagnetism or Schumann's magnetic component? The answer is both. Their recent article states the spike in Geomagnetism caused an increase in Schumann's power. How can that claim be made when a magnetic receiver responds to both Schumann and Geomagnetism? The only way to see if the power increased is to also monitor Schumann's electric component to see if it too increased. Heart Math needs a receiver to monitor the electric component of Schumann also. And to do it right both the magnetic sensor and the electric sensor MUST be calibrated. "To learn something new each day is half the cure for ignorance. The other half is to teach something new each day to others." Example of Sedona Geomagnetic in and outflows with additional pure spiraling magnetic energy. (Vortex). This was recorded at a great location that produced all three forms of magnetics. There is undoubtedly more to Vortex energy but for now I only have the means to observe their magnetic component. Are they real? You betcha! 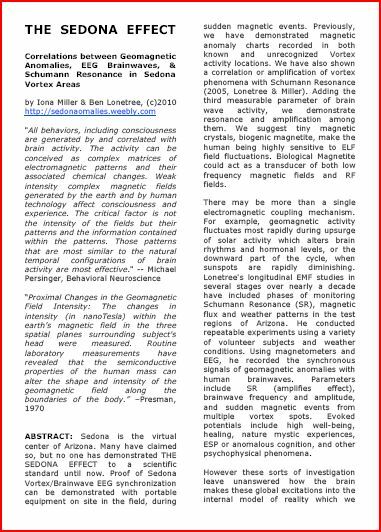 Dec. 2010 : THE SEDONA EFFECT: Brain wave and Geomagnetic Synchronization. 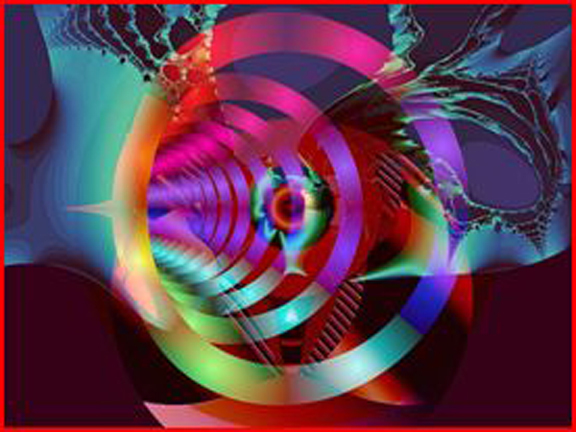 directly affects brainwave production in the meditative frequencies. Here is what I [Lonetree] recorded on the same outflow spot in the video I made on 11-11-11. This was using a Flux Gate magnetometer back in 2001. Super intense outflow that day. Lonetree on vortex energy, brainwaves, earthquakes, etc. 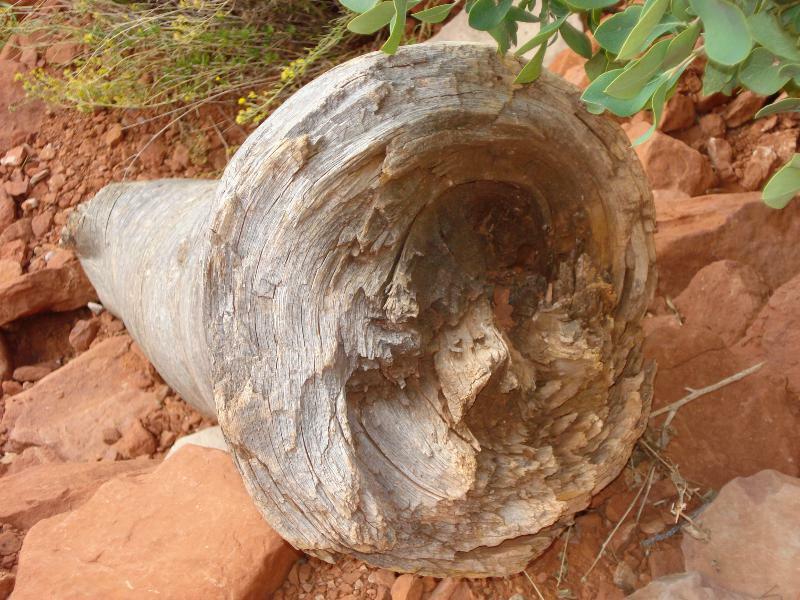 VORTEX DYNAMICS: Many so-called vortex sites have been identified by intuitives and geologists, but the Native Americans consider all of Sedona as one harmonious field. When we are in it, we can experience geomagnetically supercharged brainwave entrainment. 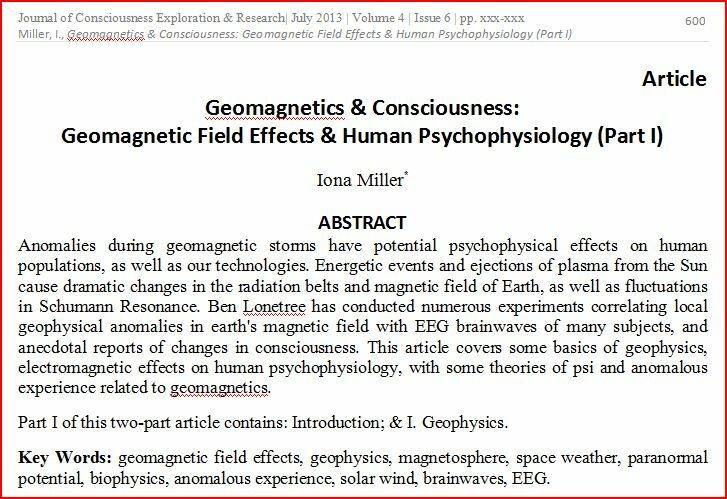 We share global (Schumann Resonance), local (magnetic), and individual (EEG) resonant fields within fields. We are not separate from our environment. Is there a relationship between "transient luminous events," "sudden magnetic impulse events," and the peaceful healing feelings associated with illumination? Some would suggest it is so. A "rising Schumann Resonance" meme has spread all over the internet; it is demonstrably untrue. A meme is an idea or disinformation that spreads contagiously like a virus. 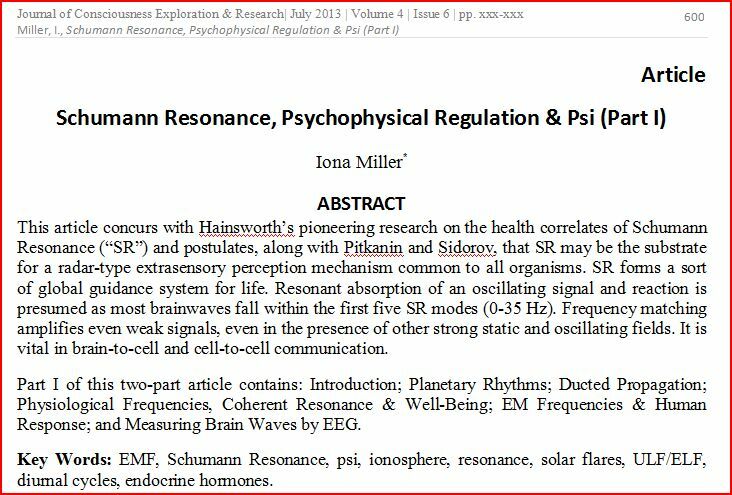 SR is NOT rising at all, as it wrongly suggests: "The resonance of Earth (Schumann Resonance) has been 7.8Hz for thousands of years. Since 1980 it has risen to over 12Hz. This means that 16 hours now equate to a 24 hour day. Time is speeding up!" It isn't true and it was never true, and it isn't becoming true. Furthermore, for it to happen would require the Earth shrinking or the speed of light changing dramatically. So, wise up and get over it, if you've been bitten by this New Age meme disinfo. When all else fails and life has you down find a nice inflowing vortex and let Mom Earth pull you within. She strengthens, clarifies, and renews. — at Schnebly Hill. 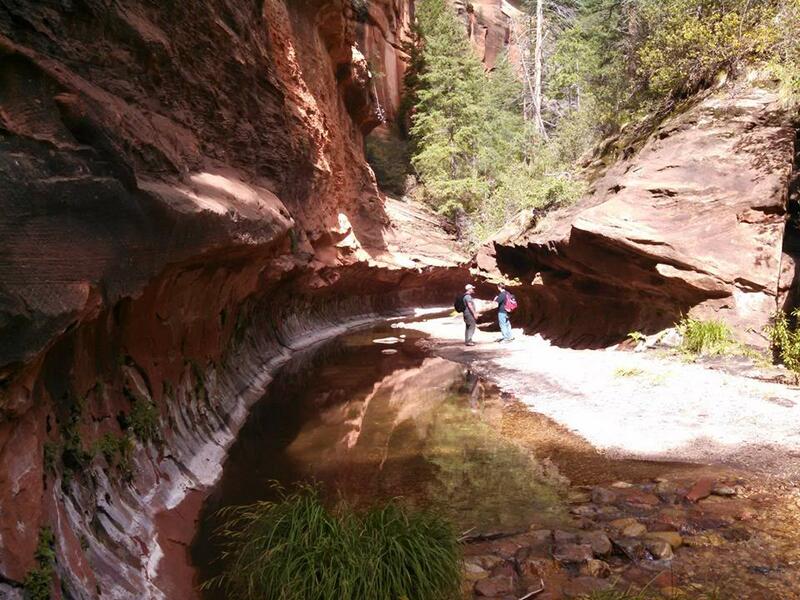 Geographically, Sedona is the virtual center of Arizona and certainly its spiritual heart. Many have made esoteric claims about the region, but no one has repeatedly demonstrated the SEDONA EFFECT to a scientific standard, until now. 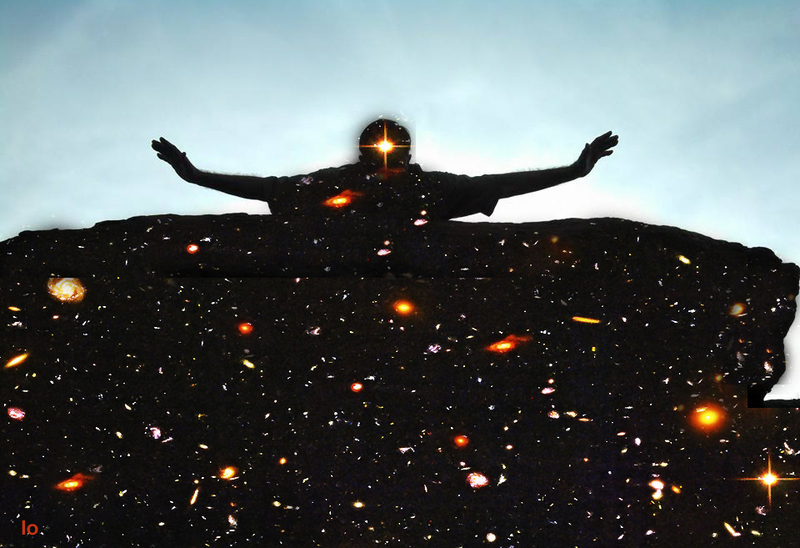 Can science confirm our intuitions? Long hailed by Native Americans as the place where “Mother Earth speaks”, and more recently as home of the “mystical vortex”, Sedona with its redrock temples proves much more than a place of intense beauty. 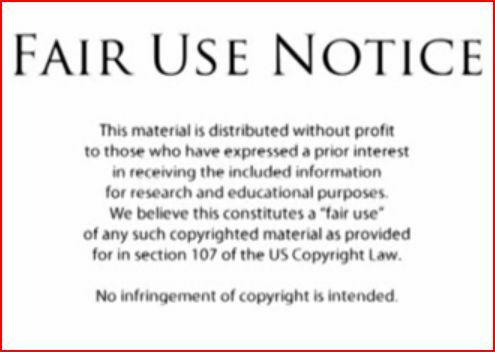 Many books have been written on the special "Vortex" energy field phenomena found in Sedona. Some say it cannot be measured while others claim it is electromagnetic in origin. Perhaps, both are true, because its ethereal effects are more than imaginal. Effects including entrainment or "recalibration", biorapport and exhilaration are quantifiable. 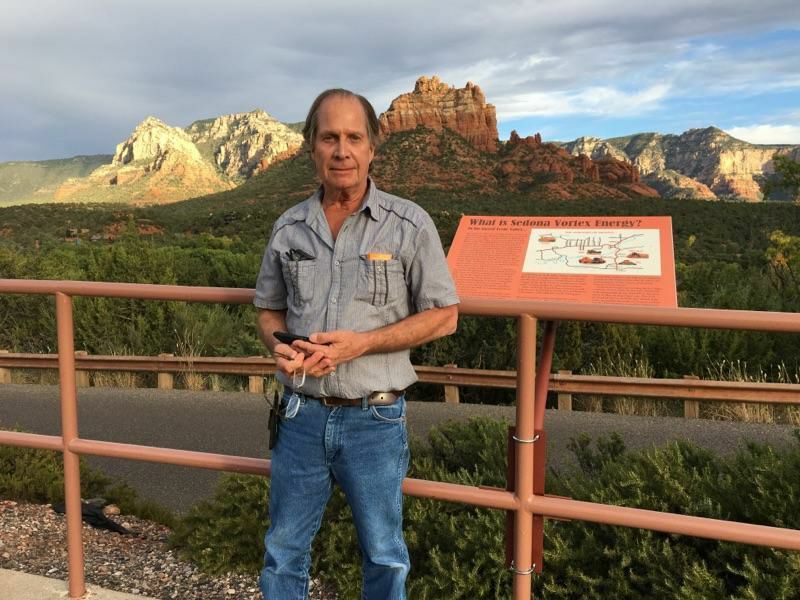 Electrical engineer Ben Lonetree began as a skeptic of Sedona’s metaphysical claims, so he decided to monitor Mother Nature’s heartbeat, take her pulse, and listen carefully to what She had to say. Yes, Ben is a bit of a shaman, as well as a scientist. 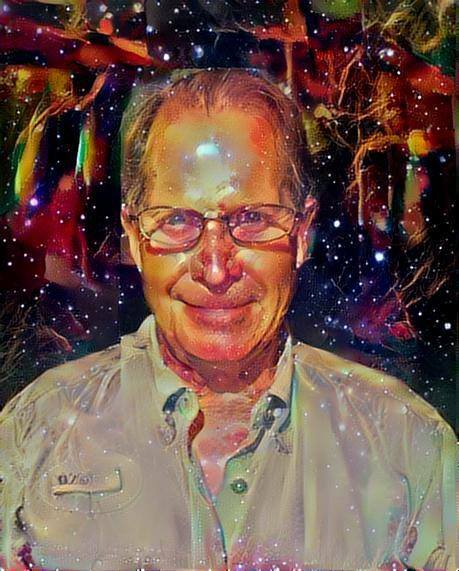 After 10 years of research using fluxgate magnetometers and large induction coils, Lonetree can definitively state that intense electromagnetic activity abounds in Sedona. 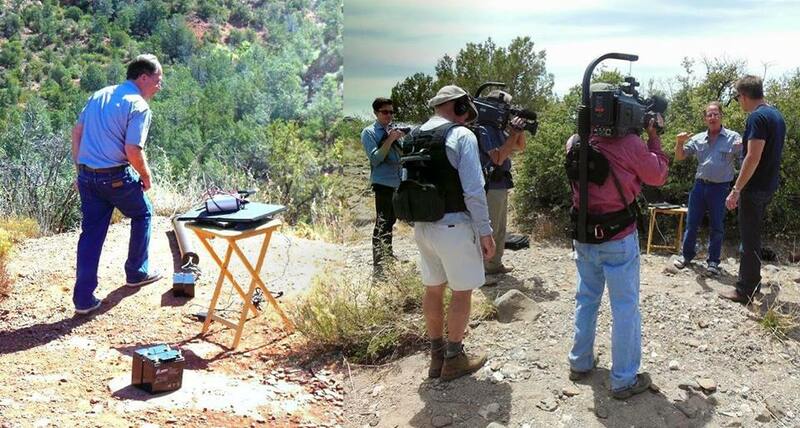 Proof of Sedona Vortex/Brainwave EEG synchronization can be demonstrated with portable equipment on site in the field, with simple biofeedback during “sudden magnetic impulse events”. In 2005, Lonetree announced results of nearly a decade of measurements.He repeatedly recorded inward, outward and circular magnetic anomalies in both known and unrecognized Vortex activity locations. Lonetree also observed a correlation or amplification of vortex phenomena with Schumann Resonance (SR). A resonating cavity is formed between the conducting terrestrial surface and ionosphere. 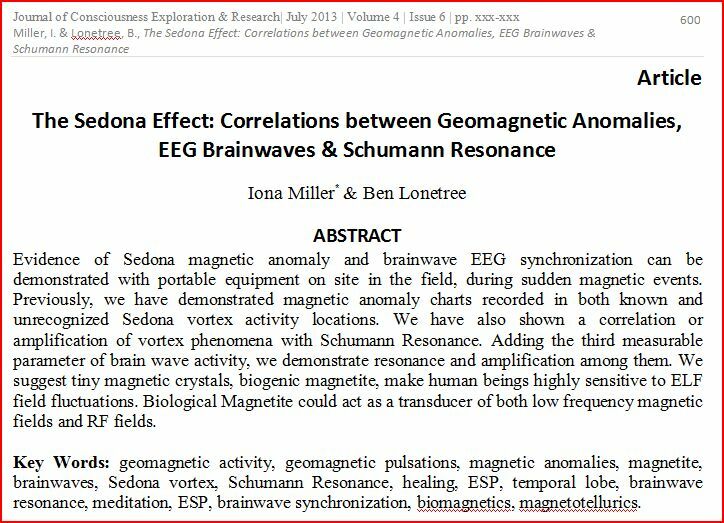 A respected scientist, Lonetree's method for monitoring Schumann Resonance is cited by NASA in the 2003 report, "Investigations of Relatively Easy to Construct Antennas with Efficiency in Receiving Schumann Resonances." Possible applications of these antennas are global weather prediction, earthquake prediction, planetary exploration, communication, wireless transmission of power, or even a “free” energy source. Named for their discoverer, the Schumann Resonance (SR) provides an orchestrating pulse for life on our planet. Contrary to the New Age meme, SR is definitely not rising, according to Lonetree's continuous monitoring. The Schumann resonance (SR) is a set of spectrum peaks in the extremely low frequency (ELF) portion of the Earth's electromagnetic field spectrum. Schumann resonances are global electromagnetic resonances, excited by lightning. Resonance is created by lightning-induced electromagnetic radiation trapped in the spherical waveguide formed between the ionosphere and the earth. 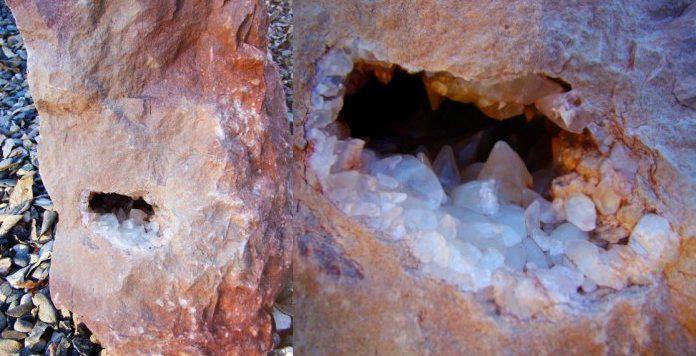 The cavity is naturally excited by energy from lightning strikes. Schumann resonance is due to the space between the surface of the Earth and the conductive ionosphere acting as a waveguide. The limited dimensions of the Earth cause this waveguide to act as a resonant cavity for electromagnetic waves in the ELF band. "Recently we (Dotta et al, 2011a) showed that photon emissions from depolarizing cell cultures (removed from incubation temperatures) were primarily emitted from the plasma membrane. If spin is a fundamental quantum process with an intrinsic connection to the morphology of spacetime, then Hu and Wu’s (2004) concepts could be manifested through photon emission during specific brain activity. The concept that photons are not only a primary correlate of neuronal activity but may occur as photon fields which are the visual experience was developed by Bokkon (2005) and verified experimentally (Wang et al, 2011). The quantitative energetic relationships between the photon emission, frequency-specific cerebral activity, and alterations in the adjacent geomagnetic field in which the person is immersed should be congruent and might reveal a method to pursue the hypothesis that quantum entanglement originates from the primordial spin processes (Hu and Wu, 2006). That light, gravity, and geomagnetic changes are intercalated would have significant implications for how information within the brain is represented in extracerebral space (Persinger, 2008) as well as maintained over extraordinarily large durations of time." Left: Displays of magnetic readings of Vortex Events, enhanced Schumann Resonance, and Brainwave data correlations. Magnetohydrodynamics is based on magnetic transmission over a plasma carrier. Sedlak proposes that magnetohydrodynamics (MHD) can be used to model living bioplasma. This MHD controlled state correlates with metabolic process, such as anabolism-catabolism and oxidation, physiological currents and weakly luminescent effects (biophotons; bioluminescence). A complex signaling system is formed involving electric, magnetic, optical and acoustic effects. This signaling system must operate on the level of single macromolecules like DNA andon groups of molecules, such as cells, tissues, organs and the organism, and above all on the level of the metabolism as an ensemble of chemical processes. 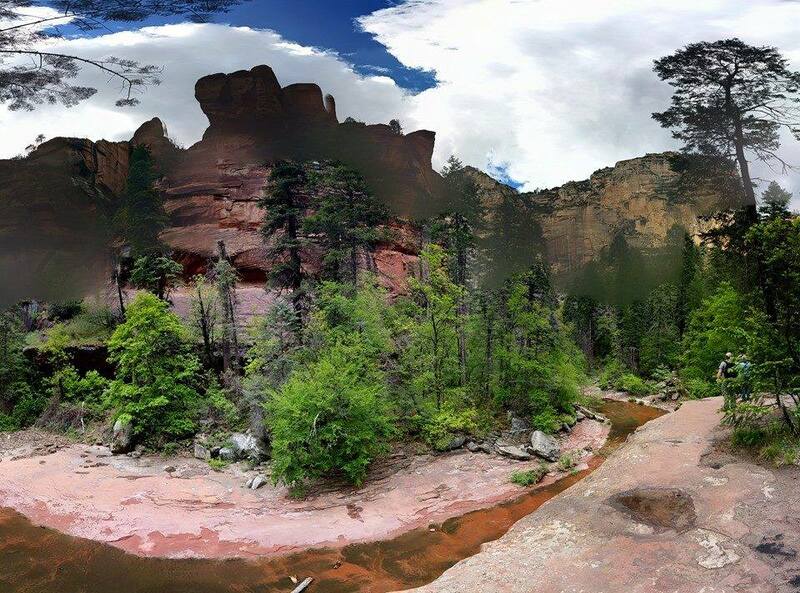 This website is a work in progress and is the result of a number of years of research in Sedona by Benjamin Lonetree. Professionally, I, Lonetree am an electrical engineer based in Phoenix, Arizona. 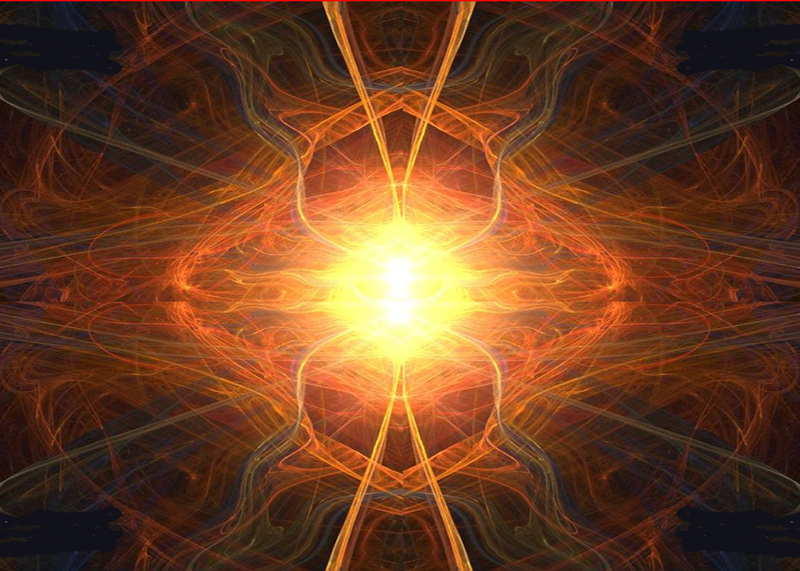 If you have an interest in Sedona's "Vortex" energy please spend a little time and read through all the information you find here. It just might make your Sedona experience more than you hoped for. Long hailed by Native Americans as the place where “mother Earth speaks”, and more recently by newcomers as home of the “mystical vortex”, Sedona proves to be much more than a place of intense beauty. You may have heard people refer to the mysterious Sedona vortexes but not truly understand what they are or how one is created. Sedona is rich in Fe2o3, (Iron Oxide), the element responsible for the red rocks, soil, and even the red color of the inner bark of trees. In addition to iron oxide the mineral Magnetite may also exist in large quantities. Concentrations of iron oxide and other metal/minerals have the effect of focusing the earth's natural geomagnetism which is produced by the Earth's molten outer core. As the outer core churns a magnetic north and south pole are created. During this process another form of magnetism is produced. It is non-dipole in nature. This magnetism has no north or south. It is just pure magnetic energy. Most of this free energy is absorbed by the primary dipole, (north/south) field but a portion of it may reach and penetrate the surface of our planet. Within the earth non-dipole magnetism assumes the form of a "Vortex Like" (spiral or circular) shape, that exhibits up and downward motion. Metals and minerals have the tendency to align the earth's natural magnetism, this fact is the basis for many forms of metal/mineral detection systems. The crystalline like structure of the metal/mineral is such that it allows the earth's magnetic field to be focused (concentrated) through the metal/mineral deposit. A proton precession magnetometer is a tool used to detect magnetic fields concentrated in this manner and is widely used for metal/mineral exploration applications. Without getting too buried in all the science let's move forward. Just one more scientific fact. Geese fly north in the spring. How do they know which way north is? It's simple, they have concentrations of magnetite in their inner ear fluid. The magnetite acts as part of a biological compass for the geese. Of course other birds, mammals, etc. also have this ability due to magnetite but what about humans? Studies have shown women typically have higher concentrations of magnetite in their inner ear fluid than men. Therefore, they are more receptive to subtle electromagnetic energies. This fact does not mean men will not experience vortex energy. It simply means they may need to be more aware and alert to subtle changes while exposed to the energy. 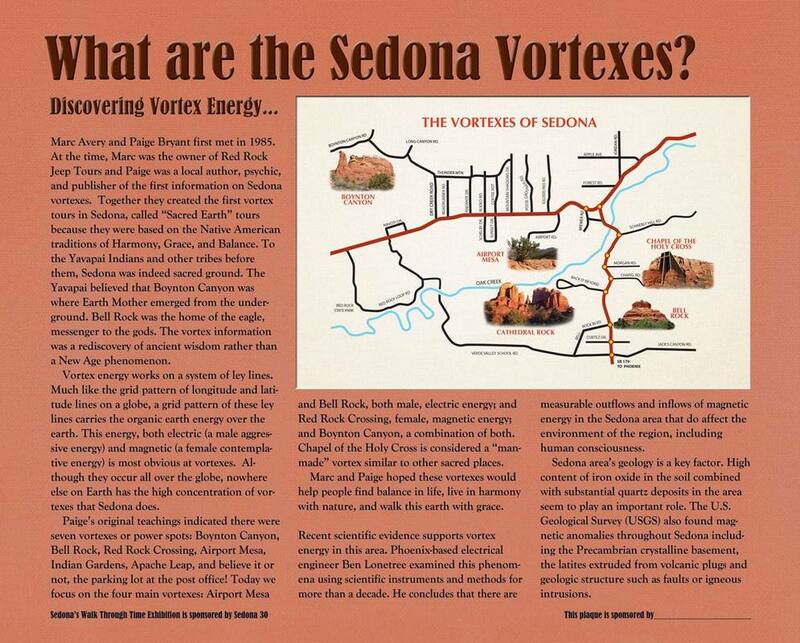 There have been many books written on the special "Vortex" energy found in Sedona. Some say it can not be measured while others claim it to be electromagnetic in origin. After 10 years of research using Fluxgate magnetometers and large induction coils I can definitively state intense electromagnetic activity abounds in Sedona. The USGS, (United States Geological Survey), has confirmed my findings. Please see their report further down this page. In my opinion this magnetic activity can be correlated with Vortex energy but it does not necessarily mean it is the only factor at work. I have recorded many intense magnetic in and outflows of energy in Sedona and it is my belief this energy is sensed by the magnetite in our inner ear fluid. Unlike the process of hearing which relies on mechanical vibration (the ear drum), to produce electrical impulses to the brain, the magnetite, as a receptor produces the impulses that through additional processes stimulate the temporal lobes of the brain. 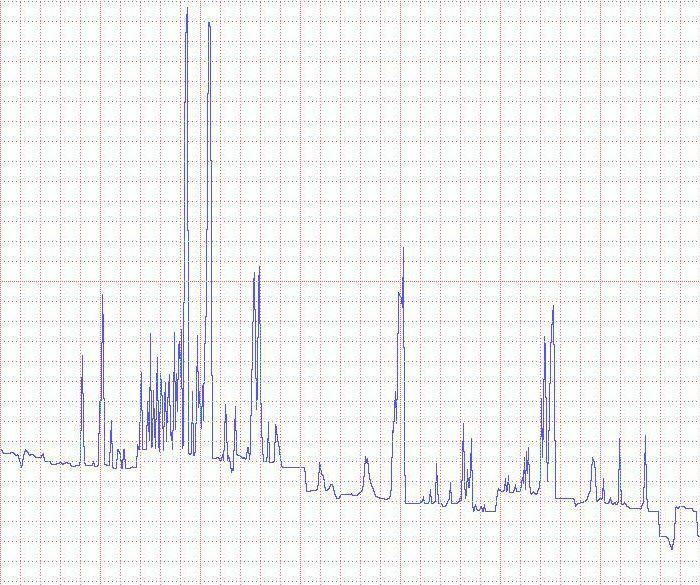 I had the privilege to have a look at Anil's brainwave activity when he was in a state of Samadhi. Fluxgate magnetometers, paired in a gradiometer configuration, are commonly used for archaeological prospecting. Researchers say that a protein expressed in the human retina, human cryptochrome 2 protein (hCRY2), can sense magnetic fields when implanted into Drosophila, leading to an interesting topic in sensory biology; perhaps humans have an innate magnetic sense. Migratory birds and sea turtles do, and that ability to sense the Earth's magnetic field is how they navigate long-distance voyages during migration. In many migratory animals, the light-sensitive chemical reactions in the flavoprotein cryptochrome (CRY) are thought to play an important role in the ability to sense the Earth's magnetic field. In the case of Drosophila, some studies have shown that the cryptochrome protein found in these flies can function as a light-dependent magnetic sensor. To test whether hCRY2 has a similar magnetic sensory ability, Steven Reppert, MD, the Higgins Family Professor of Neuroscience and chair and professor of neurobiology, graduate student Lauren Foley, and Robert Gegear, PhD, a post doctoral fellow in the Reppert lab now an assistant professor of biology and biotechnology at Worcester Polytechnic Institute, created a transgenic Drosophila model lacking its native cryptochrome protein but expressing hCRY2 instead. Using a behavioral system Reppert's group previously developed, they showed that these transgenic flies were able to sense and respond to an electric-coil-generated magnetic field and do so in a light-dependent manner. (c) 2010-2017, Ben Lonetree & Iona Miller, All Rights Reserved on all graphic and written content. If you mirror our works, pls include the authors' credit and URL LINK to this page, for reference. A torus is a two-(surface) or three-(volume) dimensional object, ring or spire or loop shape. With toroidal distribution we refer to a virtual dynamic object (extended and broken), similar to a topological spiralling torus (vortex) or to a relativistic gyroscope (helical complex motion), which belongs to space-time geometry, and that perturbs it by gyroscopic motion at relativistic speeds, induced by interference phenomena between potential gradients, and mediated by spin correlations: its shape reproduces by self-similarity (scale invariance), what we assume to be the perturbed shape of space-time geometry (loop or spin net quantum-gravitational field), which gives rise to energy phenomenon. On the one hand, its topological relationships (a central, empty zone, enveloped by a full orbit) satisfy the quantum observation and object which prefers an analogical dynamic reality made up of quanti (quantized), focusing on measurable quantities (on deterministic portion of reality, full orbit), neglecting what lies between them, (inter-spaces and inter-times, empty zone), the black hole/gap, as it is dubbed by Pietro Cugini (Cugini, 2006). On the other hand, its topological relationships satisfy the relativistic observation and objects which prefer a digital dynamic reality made of continuous flows (space-time continuum), focusing on inter-space and inter-time (on the indeterministic and chaotic portion of reality, empty zone) situated between measurable quantities. Its structure is composed of spin correlations (Spinors), and of gravitational tensor correlations (Twistors). Its dynamic presents at least three degrees of freedom: one is associated with its coronal plan, and results from a continuous internal motion of winding and unwinding around the vertical axis (similar to the opening and closing of the diaphragm of a camera); one is associated with it sagittal plane, derived from a telescopic motion of positive and negative signs along a vertical axis; one is associated with its volume of distribution, and derives from a rotational/translational motion. Iona Miller is a nonfiction writer for the academic and popular press, clinical hypnotherapist (ACHE) and multimedia artist. Her work is an omni-sensory fusion of intelligence, science-art, new physics, symbolism, source mysticism, futuring, and emergent paradigm shift, creating a unique viewpoint. She is interested in extraordinary human potential and experience, and the effects of doctrines of religion, science, psychology, and the arts. She serves on the Advisory Boards of Journal of Consciousness Exploration & Research, DNA Decipher Journal , and Scientific God Journal, as well as the Board of Directors of Medigrace, Inc., and Editorial Board of CRAFT (Community Resilience through Action for Future Transitions). Ms. Miller is published by Phanes Press, Destiny Books (Inner Traditions), Autonomedia, Nexus Magazine, Paranoia Magazine, Green Egg, DNA Decipher Journal, Scientific God Journal, Journal of Consciousness Exploration & Research, Dream Network, Journal of Nonlocality & Remote Mental Interactions (JNLRMI), Chaosophy Journal, OAK, PM&E, DNA Monthly, Antibothis, Pop Occulture, and more. Over the last 10 years Ms. Miller has coordinated the projects of MRU alumni from 3 decades, in intelligence, spyence, new physics, paranormal, creativity, consciousness studies, DNA research, superlearning, DIY mind control, biophysics, and other frontier science and blue sky experimentation. 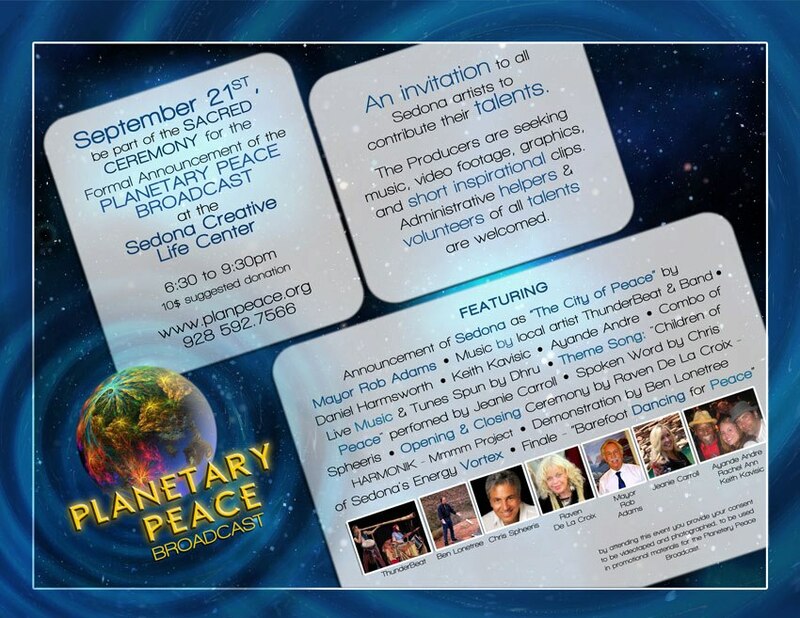 This work continues in a variety of forms and outlets.